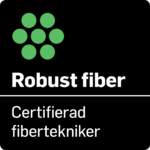 what is robust fiber?what is robust fiber? 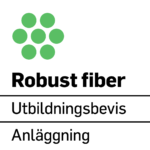 Roburst Fibre is now available in version 1.3. The english version of 1.3 will be published at 1 june 2019. We have now published a english edition of Robust fibre. Please read and enjoy. Happy reading and build robust fibre networks! We have now completed a revision of the instructions from 1.1.1 to 1.2. Release date is April 1, 2018, but was released March 28, 2018. Experiences from our courses, seminars and feedback from the field on the instructions have provided us with a good material for Robust fiber. Now there's a clear guide for those who want to build robust fiber networks. It holds the industry's common and aggregate knowledge that you can safely lean against. The instructions describe the minimum requirements that apply when planning, projecting, posting or documenting fiber networks. They act as A checklist for you who plans or orders networks. For entrepreneurs and building networks, there are clear descriptions of how to place the network in the best possible way. The requirements clarify what is the least acceptable standard. Many networks are based on even tougher requirements, if customers and executives agree. Referring to the industry's instructions, you also commit to following them or making higher demands. 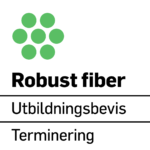 Robust fiber is aimed at you who work with ordering, building or viewing fiber networks. Here you can acquire knowledge and get tips on how to work out a fiber network that is robust and reliable. The infrastructure that is being built today will be dependent on society for a long time to come. Therefore, it must be robust, reliable and cost-effective. A fiber network, which is built in a well-thought-out manner based on minimum requirements (or higher requirements) becomes more sustainable over time, stands better for the weather's powers, and requires less maintenance or repair. A robust network is also more attractive in the market, both for those who want to lease in capacity and who may want to buy the entire network. Robustness is a broad concept, but a simple explanation is that it describes the ability to withstand disturbances and interruptions as well as the ability to minimize the consequences if they still occur (source PTS). The disturbances can be of many different kinds. 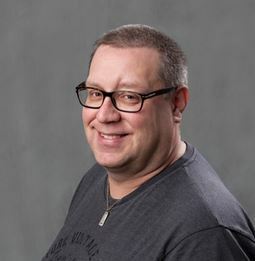 Incorrectly built networks, weather and wind, terrain conditions, material strength, electromagnetic disturbances or human handling errors are all of the things that can interfere with networks and interrupt important digital services that are fiber dependent. So far, there has been no established standard for how a network should be placed. It has led to a great variety of how networks are built and what quality they hold. This applies, for example, to installation depth, labeling, channel selection and installation techniques. 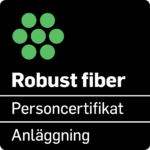 With the minimum requirements in the instructions, there is now a standard that can be seen as the lowest acceptable level in a fiber infrastructure installation. If all networks were built according to this standard, future maintenance and development would be greatly facilitated. A unified way of building infrastructure is a way to create more robust networks. Certify you or your company! Certification and Certificate of Education for Construction, Fiber Technology and Termination. In order to raise the level of competence of Robusta fiber plants on companies and individuals, certificates and diplomas are offered at different levels. Holding a Business Certificate (Green) is a guarantee that a certain level of quality is achieved for those who wish to purchase contract and plant services from your company. This applies to as many entrant companies as city networks and operators. Holding a Personal Certificate (Black) means you have high knowledge and skills in your area. 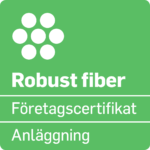 Certification for plant focuses on the installation of fiber infrastructure, channelization, site and nodes for fiber. Certified Fiber technician (CFT) focuses on the fiber cable itself and its work. Certificate of Education (White) provides a basic knowledge of how fiber channel cable channeling is to be established. A perfect certificate of competence for, for example, engine drivers and fitters, so that robustness is achieved at work. Certificate of termination (white) refers to persons who work in operators’ nodes and sites to plug in and patch fiber cables. In some cases, the certificate of education is a requirement for carrying out work with operators and city networks. Certified Fiber Technologies (CFT) and Certificate of Education Termination is available today.